I feel like I have been transported back to the days before I was allowed to drive. I remember asking my Dad if I could drive us home from Church, and those were the days when we lived a whopping 4 or 5 blocks from the church, and oddly, now that I think about it, we often drove it. Probably because my dad was the pastor and we were the ones with the keys and we opened and locked up the church most sundays, and did most everything else it felt like. Often we were running late on being early for church. Yeah – you CAN be late to be early – I promise you that… as more than once there was an older lady waiting on us to open up so she could be the first one there. But I was a kid – what did I know about anything – except that I wanted to drive??! I remember the first time I drove – ever. My dad and I were in the car alone. He pulled into that church parking lot and got out. I was befuddled till he went around to my car door and opened it and told me to get out. I did, mostly because I was completely thrown off and then he got in, sat down, and shut the door. The windows were down, and he looked at me and said, “Drive home.” I stood there just looking at him for a moment. Nervously, I nearly jumped over to the driver’s side and he walked me through the process of driving home. It was the longest and best 5 blocks of my life that day. Oddly I still remember being that girl like it was yesterday. Now, speed up to March 2012. I can be found in the passengers seat every time we go out, anywhere. I have had my keys taken away. 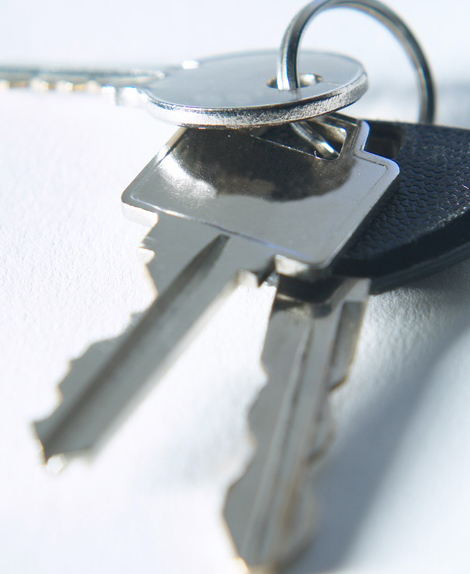 I’m 37, not 87…and I figured it would be my kids who’d take my keys someday… not me. That’s right. I took the keys away from me. It went something like this: I drove home one day, sat in the driveway, and realized I didn’t remember where I drove from, or how I got home… Wow. This wasn’t like how you can do the same commute over and over and sometimes forget kinda thing. No, this was the foggy, simply cant remember at ALL kinda thing. As much as I didn’t want to, it was time to turn in the keys. I am on some new medicine that will hopefully put a huge dent in the number of migraines i get due to the Chiari Malformation I was diagnosed with last May. Though much of the medicine I am on is working great, I still get an average of 15 migraines or more a month. This month, I am betting on the “more” side of it. The side effects are nearly as bad as the thing they are trying to stop. It is supposed to get better. At least that’s what they say. I am weaning on to this new medicine, and it will take over a month and a half to be fully on it, and 2 more months before I will know if it will begin to help. I am on week 3. Sigh. I was doing okay with the whole no driving thing till my daughter was at her wits end with my key grounding, herself. She wanted a girl day and Dad’s dont drive when you go on girl days. Boys aren’t allowed on girl days. There’s no more quick running out for stuff, sneaking an ice cream cone when no one is looking, or even just going stupid grocery shopping, which I loathe. I know I will get through the crappy stuff and someday it will be so much better – but I am tired of feeling like a teen hoping for the keys, and getting caught driving in my subdivision (picking up my kids from the downpour after school) by the bus driver!. Though, it was a good laugh when she caught me again – the same day – at the grocery store. In my defense I knew I could do it because the medicine was nearly worn off and I needed to take it again in a half hour. Look at me – I’m like a kid caught driving without permission! One day there will be a handle on pain, migraines, and feeling normal. But till then, I will have to work at making all this seem like a bump in the road and somewhat of an interesting ride so I dont go crazy waiting to hear, from ME mind you, that I can drive again… because no one but me will know when it’s safe to drive again, or ever.